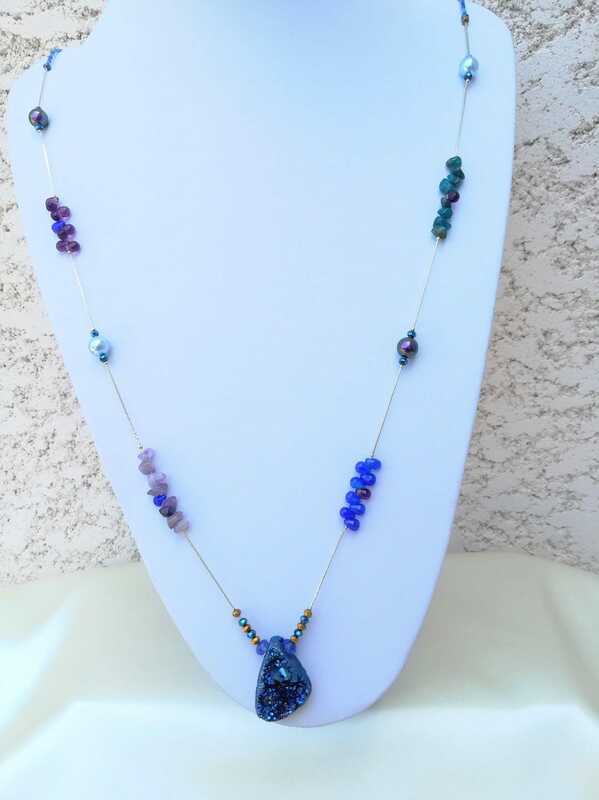 This long boho chic necklace is very elegant and gives a lot of sophistication to any outfit. 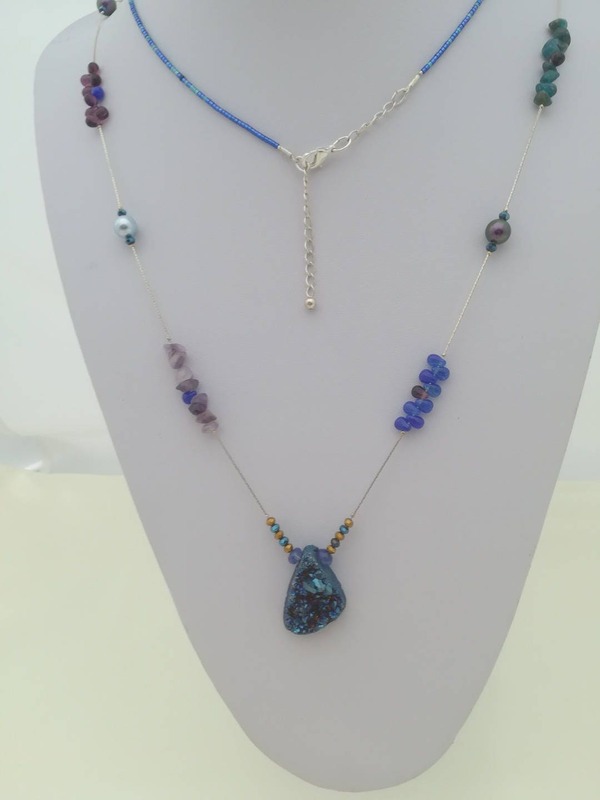 The chain is adorned with chips of fluorite and apatite, drops of swarovski pearls and blue myuki seed beads, boho. 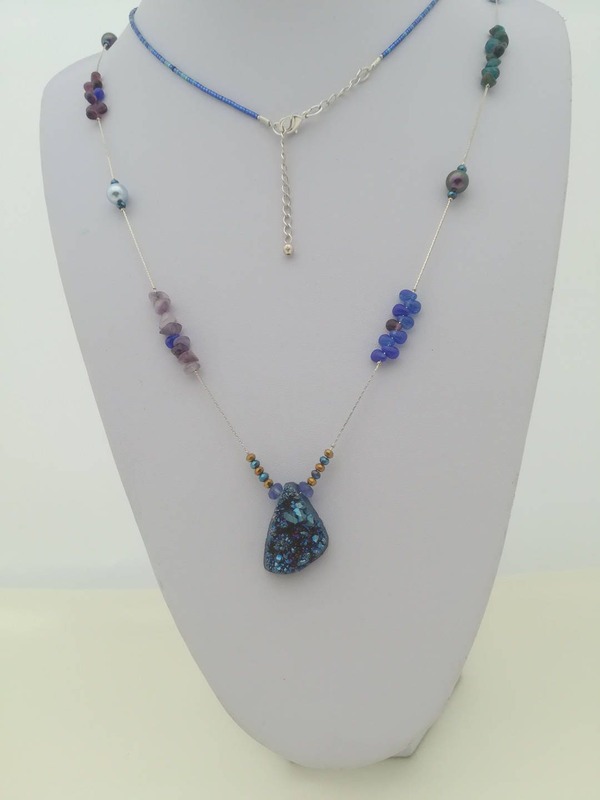 It is embellished with a pendant made of a Royal Blue agate druze and pretty blue and bronze faceted beads. II has a long silver plated snake chain extended by a lobster clasp and sterling silver extension chain. It can be worn in any length or split in 2 heights depending on outfit with which you can wear this beautiful gem.